Spring is here–breathe it in! From April 30th through May 4th, the EPA recognizes Air Quality Awareness Week in an effort to “inspire people to take steps, no matter how large or small, to reduce their contribution to air pollution.” In addition to being eye-catching, plants help filter the air and can contribute to an overall happier environment. Make sure your outdoors are ready with our spring plant care checklist. With the arrival of spring, it’s time to take a closer look at all of that greenery. So here’s a simple spring plant care checklist that will help you spruce up your garden, houseplants, and yard for spring! Note: These tips will vary based on what Plant Hardiness Zone you’re in. You can find more information for your area by searching for zone-specific tips. 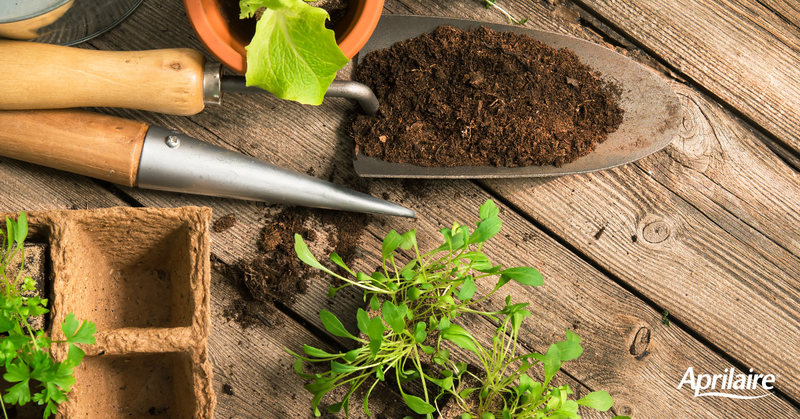 Clean up your garden beds by removing dead leaves, leftover snow, and weeds. Dig compost into beds as soon as the soil can be worked, and top with mulch to maintain moisture and help prevent weeds. Remove winter covering from tender roses, perennials, and strawberries. Fertilize lawns once snow has melted. Trim away spent blooms on shrubs, and thin-out overly thick branches to rejuvenate older plants. Remove lawn thatch and add seed to fill in any barren areas. Rotate your house plants so they receive proper amounts of light. This will encourage even growth and balanced shapes. Start seeds of squash, melons, and corn, which can be moved outdoors as temperatures rise. Sprout seed potatoes by transitioning them from cold storage to room temperature.